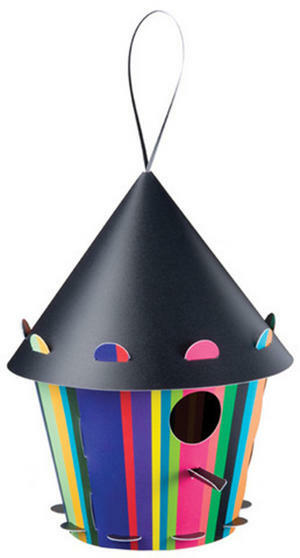 Beautify your branches with this brilliant build-it-yourself birdhouse. Strictly for the birds garden or home décor. Assembled size: 8.25" tall x 4" at base x 5.75" round middle. Hole size 1.25"